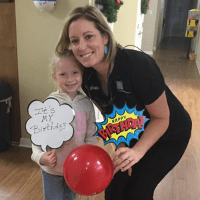 Here at the office of West Brazos Dental Center, we are committed to serving our patients with the highest quality in dentistry, with a gentle manner. Whether you’re coming to our office for a teeth cleaning, dental crown, dentures, or any other dental service, we work hard to ensure an enjoyable experience. We accept most major dental insurance plans, including Medicaid and Chips. Feel free to browse around the site to learn more about us. Call us at 979-345-1023 if you have any questions. We look forward to serving your dental needs!